We Bought A Class C RV - The Winnebago Itasca Viva! Well, we weren’t a one vehicle family for very long. We bought a Class C RV, the Winnebago Itasca Viva, the other day. Now, this wasn’t just a random, spur of the moment decision. 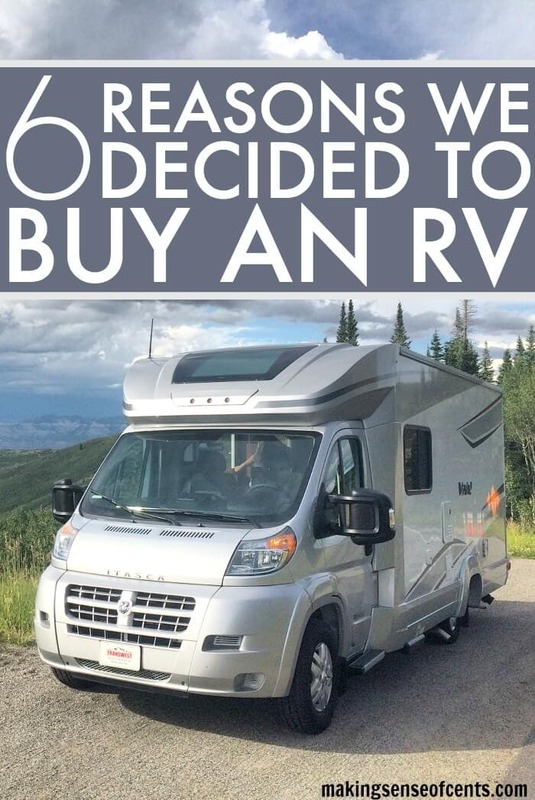 We have been thinking about buying an RV for over a year now. We have done an insane amount of research, we have watched and read countless RV videos and websites, and more. We’ve thought about maintenance expenses, fuel costs, emergency repairs, RV parking, RV campgrounds, laundry, wifi, and so on. 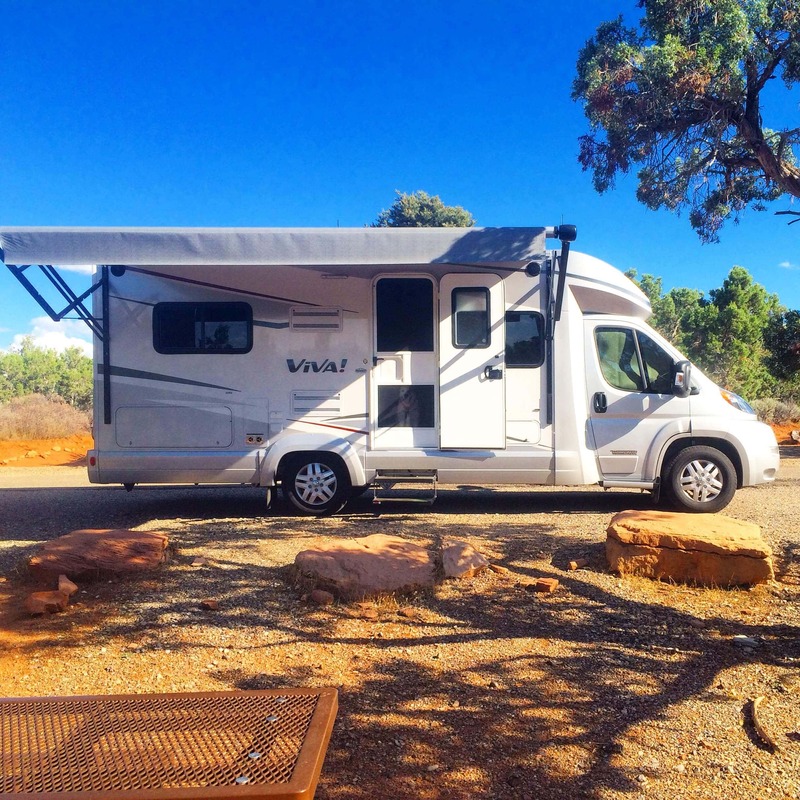 We ended up buying a Winnebago Itasca Viva, which is a Class C RV. We thought about getting a Class B RV but decided on a Class C RV so that we could have a little more space. It’s not a huge motorhome, but it’s enough space for us at 24 feet long. We will be traveling with our dogs and there is plenty of space for the four of us. It’s not hard to drive and it doesn’t get absolutely horrible gas mileage (it’s very similar to the Wrangler we used to own). There's a full bathroom with an actual shower, toilet, and sink. There's a bed. There's actually enough room to sleep 6 in our RV. Who wants to join us? There’s a kitchen with a big fridge, freezer, sink, stove, and microwave. It has a dining table with plenty of space for me to work. As you can see, the RV we chose is pretty amazing! We really love it and have already taken some day trips to test everything out. Now, some of you may be wondering why we bought an RV in the first place. Below are some of the reasons we decided to buy an RV. We spend a lot of money on hotels. 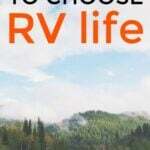 Class C RV’s are not cheap, I do realize that. The Winnebago Itasca Viva isn't cheap either. However, we spend a decent amount of money on traveling each month. I would much rather put my money towards an RV and the costs related to that. I’m all for nice hotels and resorts, but with our trips lately we have been staying at many highway hotels which are not always the greatest. After all of the traveling and spending money on hotels lately, traveling via RV just seems like a much better option. We do still plan on staying in hotels and Airbnbs occasionally, but it won't be as often. Don't get me wrong, I definitely love hotels, Airbnbs and resorts! We will just be able to stay in our “second home” more often. 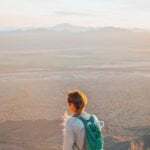 There are ways we can save money too such as going on longer trips where we stay in place for a longer time (so that we spend less on gas), riding our bikes or moped whenever we can (we don't plan on towing a car), and boondocking as much as we can. We want to travel more comfortably. Packing and unpacking our stuff each morning after staying in a hotel gets annoying after awhile. In fact, the other day I left my favorite shirt at a hotel and I'm still upset about that! We realized that having an RV would make traveling much more comfortable for us as well as the dogs. Plus, we would have a place to pretty much call home for when we are not actually at home. It will also be nice to have everything we need right in the RV. We can make meals and save a ton of money on food while traveling, have our own bathroom, a bed, and so on. 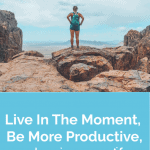 We want to be able to take breaks when we want and need to. With an RV, we can stop whenever we want (okay, not literally but you get what I mean) instead of trying to race to the next hotel. We often log around 12-15 hours in the car each day when on road trips because we don’t want to stop as frequently for hotel stays. With an RV, we will be able to travel at a more casual pace. We want to visit friends and family more. While we love Colorado and the surrounding areas, we do miss friends and family. Having an RV means that we can visit them all more and stay longer (until they get annoyed of us). Since we will have everything we need in the RV, we won't feel the need to rush home either. We enjoy traveling, being on the road, and know that there’s still a lot of North America that we would like to see. Having an RV just seems like a much better way to travel. I know many like to say that there's no where in the U.S. to travel to and some even make fun of RVers for that reason, but I think those who say that are crazy! There are so many different dramatic landscapes to see here and I would like to spend more time experiencing everything. We can still work on the road. Another great reason we decided to buy an RV is because we can work from wherever since we are location independent. Working on the road and being able to travel wherever I want sounds like a dream to me! Also, I've had a lot of you ask what I'm using for internet. I'm using a Verizon MiFi Jetpack. Are we crazy? 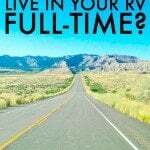 Does traveling in an RV interest you? Would you be interested in some RV-related posts on Making Sense of Cents? Probably the most important question: Where should we go next in our Class C RV – the Winnebago Itasca Viva?! We got around 14-15 in our Class B+. We now get around 7. We travel a lot more slowly than we did before. We like to really experience a new area, and doing it slowly is the best way. Wow Michelle y’all are great about responding so quickly, impressive. I perhaps was kidding myself into thinking some Mercedes diesel class B’s would get in the upper-teen’s. I’ve heard that they do. We didn’t have a diesel. Ours was a gas. I am retired and my husband travels for business 2-4 times per month. We are going to look at a 2016 Winnebago Viva 23L tomorrow. Now that you have owned yours for quite some time, would you recommend the purchase? Also, the pros and cons, please? We actually don’t own it anymore. We loved having it but when we bought it it was more of a part-time thing. Now that we are full-timing, we’ve decided that we want to tow our Jeep. 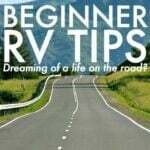 I’m struggling with buying an RV vs a T@B 400 travel trailer. Can you comment on this, please? All travel trailers are RVs. When you say “RV” do you actually mean a Class A? Or a Class C? Love this! We’ve just quit our jobs so we can travel Europe in our motorhome and it’s such an amazing life. 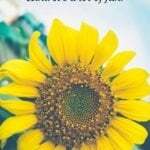 I’ve been enjoying reading your posts on how you’ve adapted to it and the tricks you’ve learnt. Thanks so much for sharing and inspiring! Husband will be 80 next month, I will be 75 in January. We own a 2000 Fleetwood Bounder 36s. We cannot afford to keep our Vermont home and RV full time. Considering buying a 2005 Fleetwood Pace Arrow 37C, sell our home, we get about 2000 per month Social Security. Your thoughts on this?